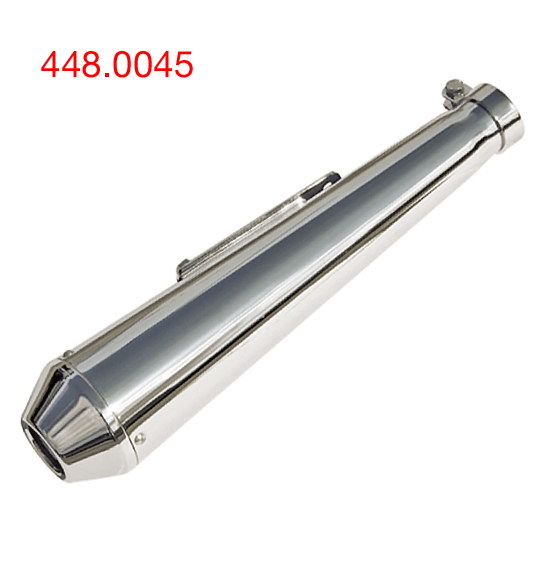 Quality, chrome mufflers in a range of classic styles. Includes fitting brackets and inlet adapters (most models). 101 Moto Accessories brand.